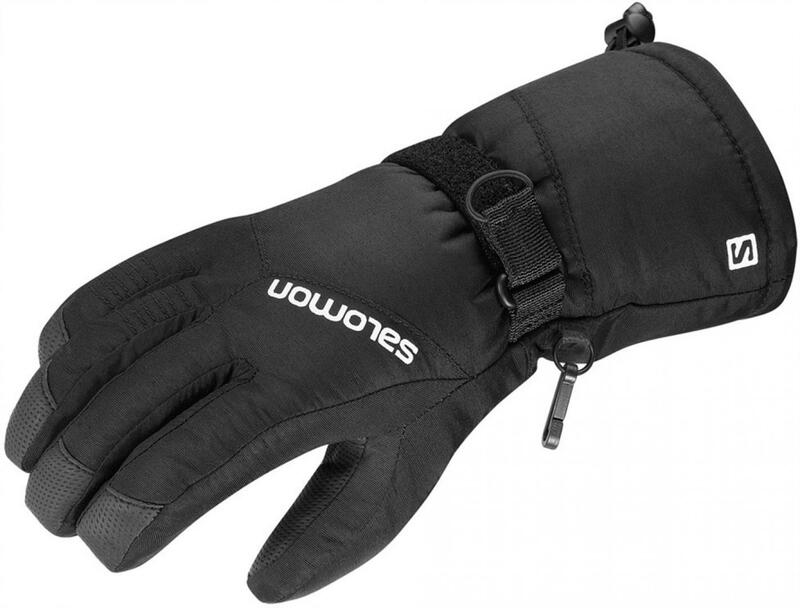 Only dry gloves keep hands warm', and only with warm hands can you truly enjoy winter sports. The GORE-TEX® membrane keeps water out of these gloves', while allowing moisture from the inside (perspiration) to easily escape. Key advantages -Durably waterproof', windproof protection and breathabililty -Ideal for cold conditions -Outer shell offers total water repellency. A new PU fabrics', stretchable and durable for occasional skiing. Provides the right level of insulation for warmth in winter conditions. With Salomon short cuffs', you will put your jacket sleeves on with less bulkiness in order to keep warmth in and snow out. The velcro remains the simplest system to adjust gloves and even snow will not affect this closure system.